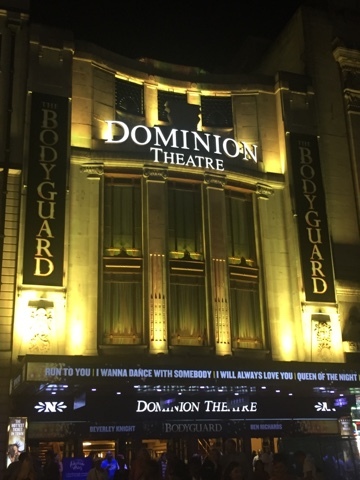 On Tuesday evening it was finally time to head to the Dominion Theatre in London to catch The Body Guard. 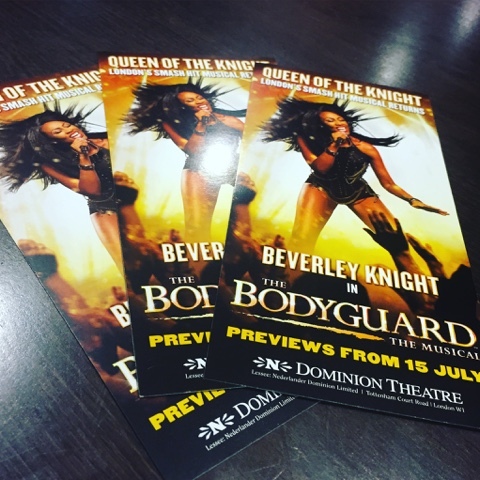 For those who haven't been to the Dominion since We Will Rock You it has undergone a massive revamp and looks incredible. For regular theatre visitors I'm happy to say the new air con was a great help in the heat wave all though a little cold at points. Having seen the show twice on the first run in the West End I had high hopes what could be achieved with it in this theatre with the stage being a lot bigger than its previous home. I wasn't lucky enough to catch the show on tour so noticed the changes and updates quite quick. From the first turn in the West End to now I've always thought the way the scenes change between each other is really clever and works very well. The only thing I missed from the first run was the bigger house in the cottage scene but I thought this one worked really well with the stage space it had. This week with Beverly Knight being on holiday we were very lucky to catch the incredibly talented Carole Stennett as Rachel. Carole's performance literally left myself and my friend Lauren who was watching the show with me stunned and with goosebumps. Her vocals were completely spot on and we loved it. Ben Richards played the role of Frank very well, we warmed to him very early on and he really did the role well. All in all I'm really happy the show has come back from tour to the west end, I'm really glad its got more stage space which I think has made the performances better on a whole new level. The energy in the finale was a great way to end the evening.